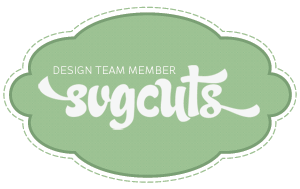 Welcome to our July Design Team Blog Hop. We have some fun and creative projects to share with you. 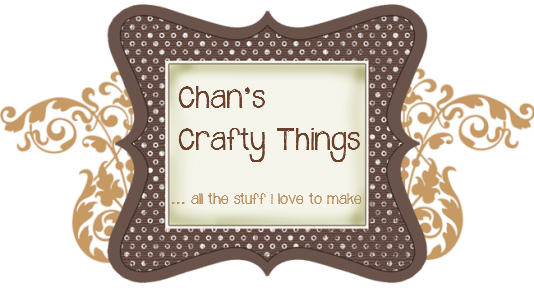 Hop to the blogs listed below and check out what we have created for you. 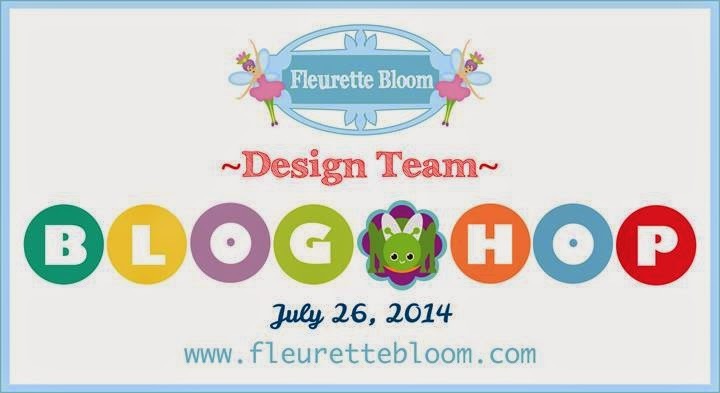 Be sure and enter to win a $10.00 gift card to the Fleurette Bloom SVG Shop! You have a chance to win at each Design Team Members Blog, just by leaving a comment at each stop of the hop, and become a follower if you are not already! Good Luck! Whilst we're in the middle of winter here in Australia, the weather has been lovely and I'm certainly getting into the mood for summer! 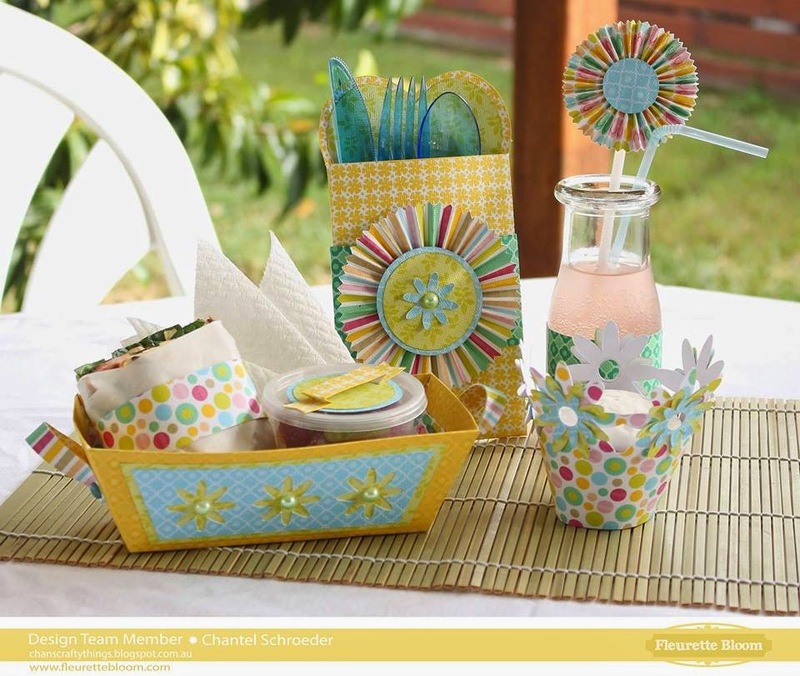 So for my project, I created this fun summer picnic lunch basket with matching utensil holder, cupcake wrapper and juice bottle. 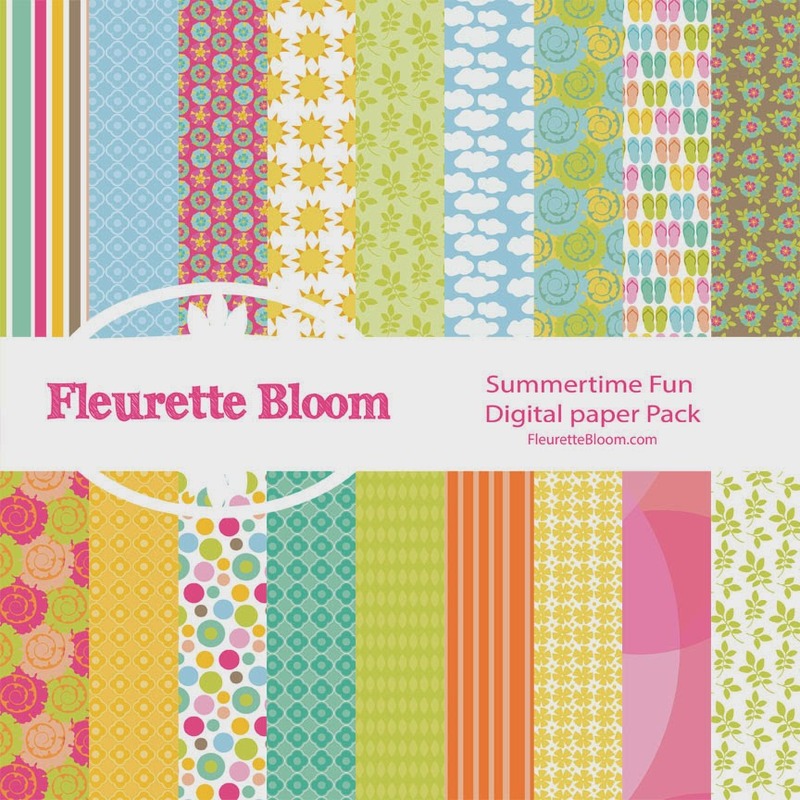 I used Fleurette Bloom's newest paper collection called Summertime Fun. 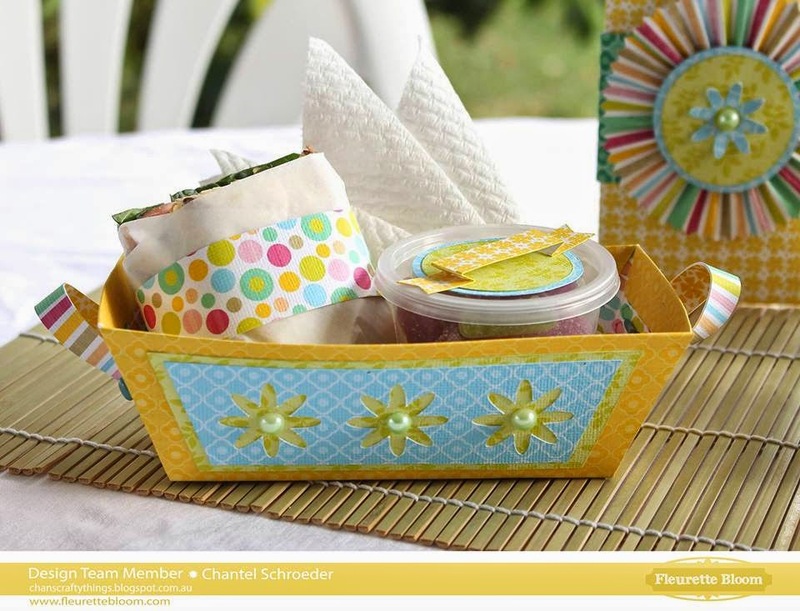 These are all SUPER cute and the colours and patterns simply scream summer! 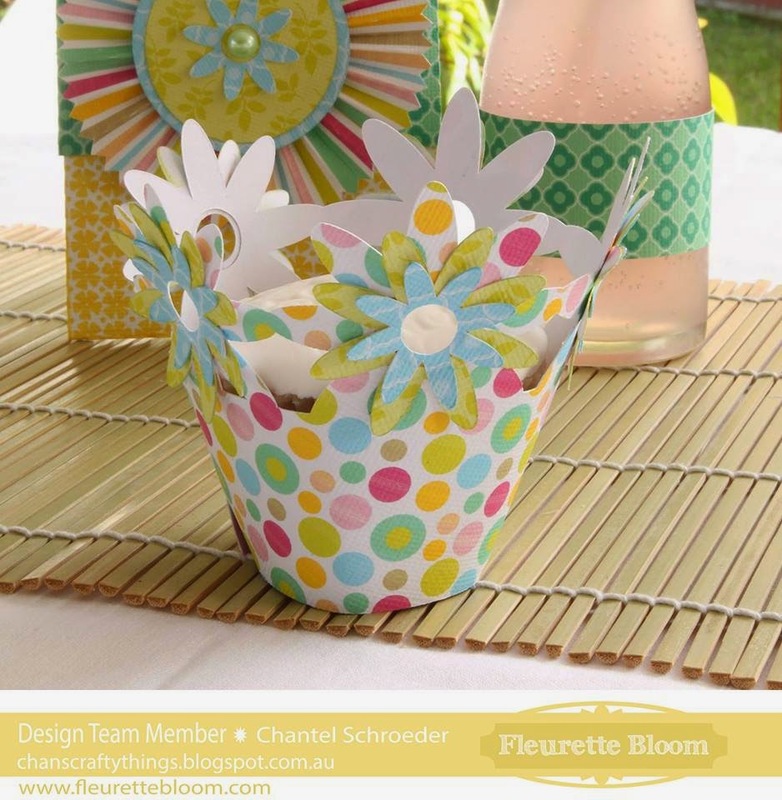 For the utensil holder, I used a file from the Valentine Be Mine 3D SVG Kit, with the rosette from the Celebrations 3D SVG kit. 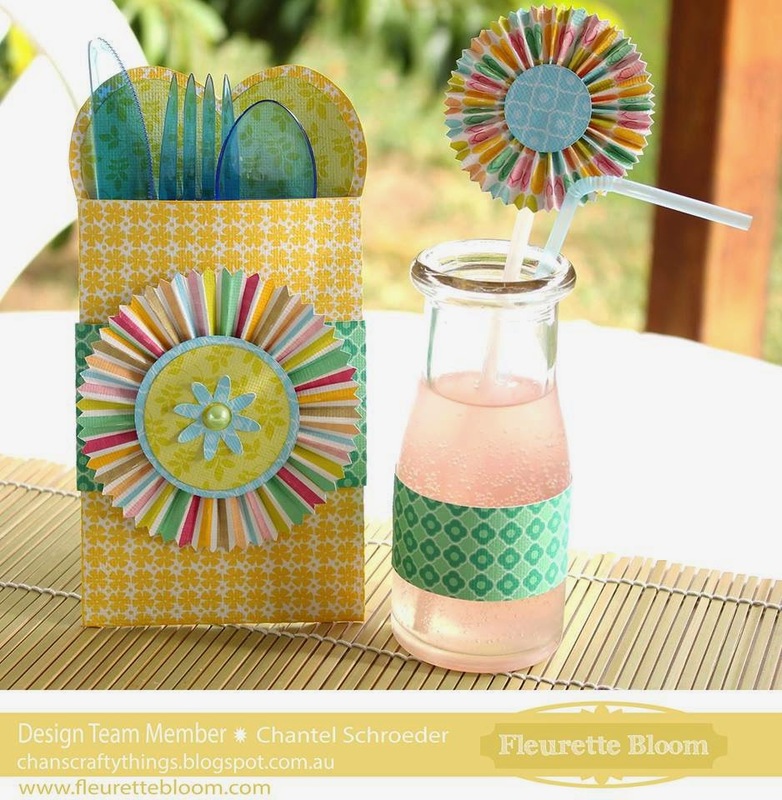 I then used the same rosette, just a touch smaller, to make the drink topper (which I simply glued to a straw). As a final piece to the lunch set, I just had to make this cute cupcake wrapper, again from the Celebrations 3D SVG Kit (can you tell I love this kit? LOL). I cut a few extra flowers out and added the ones left over from the lunch basket as well. I think it looks super cute in this polka dot paper, don't you? Well, that's my project for today. I hope you enjoyed it and that it's inspired you to go on a fun picnic of your own before the summer ends! Next stop on the hop is over at Cheryl Hoogenstyn Becker. If you haven't started the hop from the beginning, don't worry - here's the whole line-up for you again so you can check out the other DT member's blogs as well. Their projects are all amazing! 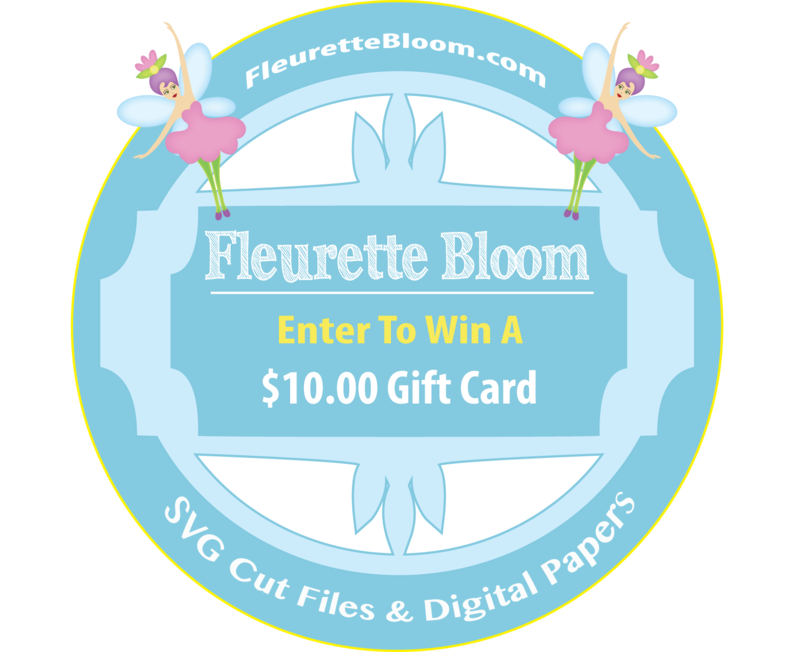 Remember, enter to win a $10.00 Gift Card to the Fleurette Bloom SVG Shop! Just post a comment on this blog post and become a follower of this blog (if you are not already). A winner from each blog on this hop will be selected, so you have multiple chances to Win!